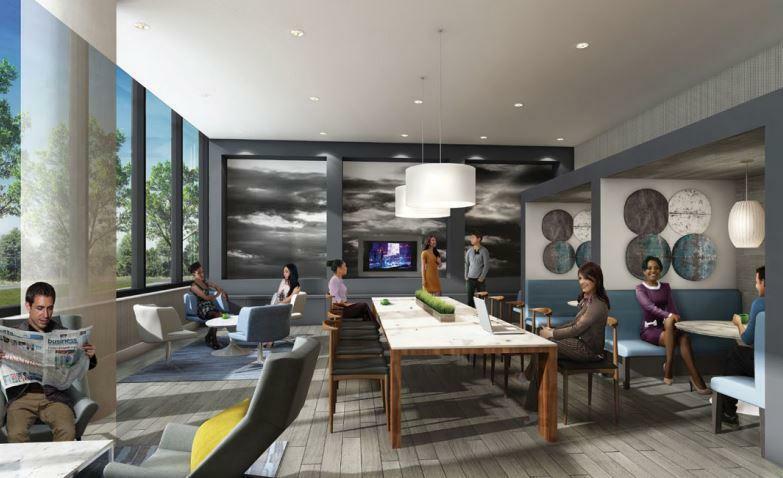 Located at Bayview and Sheppard, NY2 condos offer up stylish living at affordable prices and would be ready for move-in in 2014. Starting at low $200,000’s or a monthly rent at $1,489, NY2 condos are close to the beat of the city with the public transit, 401, 404, and the DVP just steps away. Live conveniently close to the Bayview Village Shopping Centre, one of Toronto’s most premier shopping destinations. 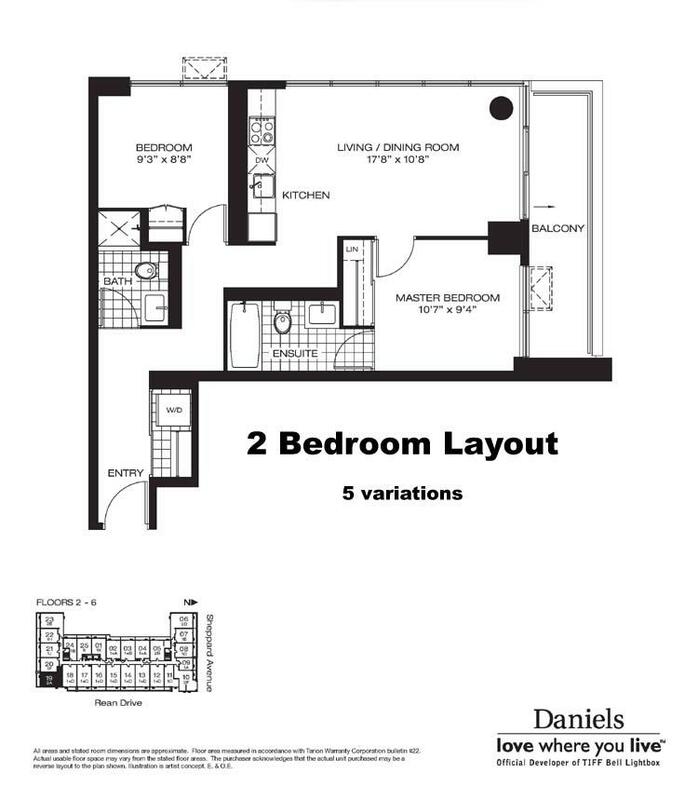 With the new innovative “Rent to Own” program, NY2 boutique condos offer the simple method to owning your own unit. Choose a one bedroom, one bedroom plus den or a two-bedroom suite and sign an Agreement of Purchase and Sale. You can move into your new home starting as early as summer 2014. While living in the unit, a portion of the monthly payment will be credited towards your down payment. The total amount accumulated will then be applied towards your 5% down payment. After one year, all you will have to do is top off your 5% down payment for your closing! Register today for floorplans, and up-to-date information! Security features including key fob access, and in-suite viewing of all visitor entrances! 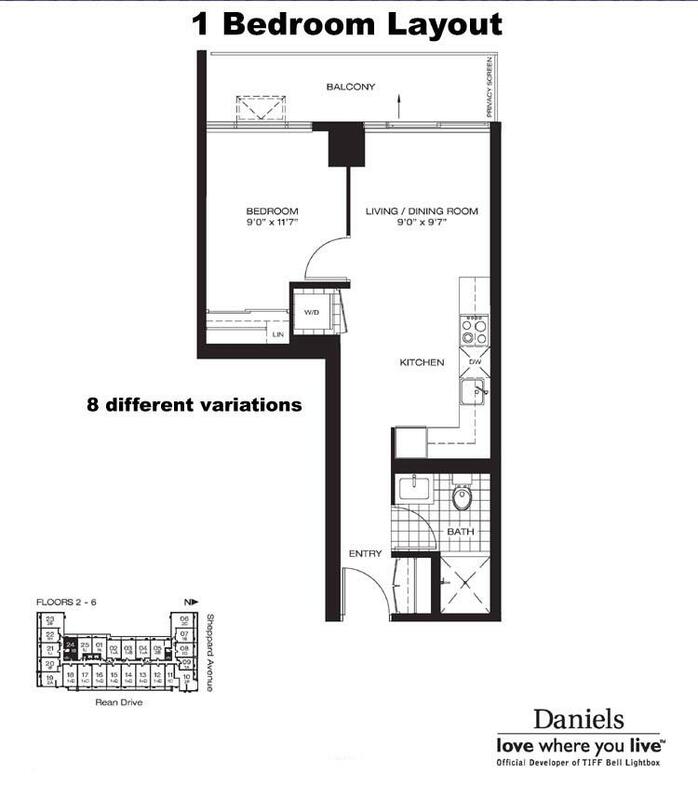 Floorplans of the different variations can be provided upon request. Why Choose The Daniels Corporation? 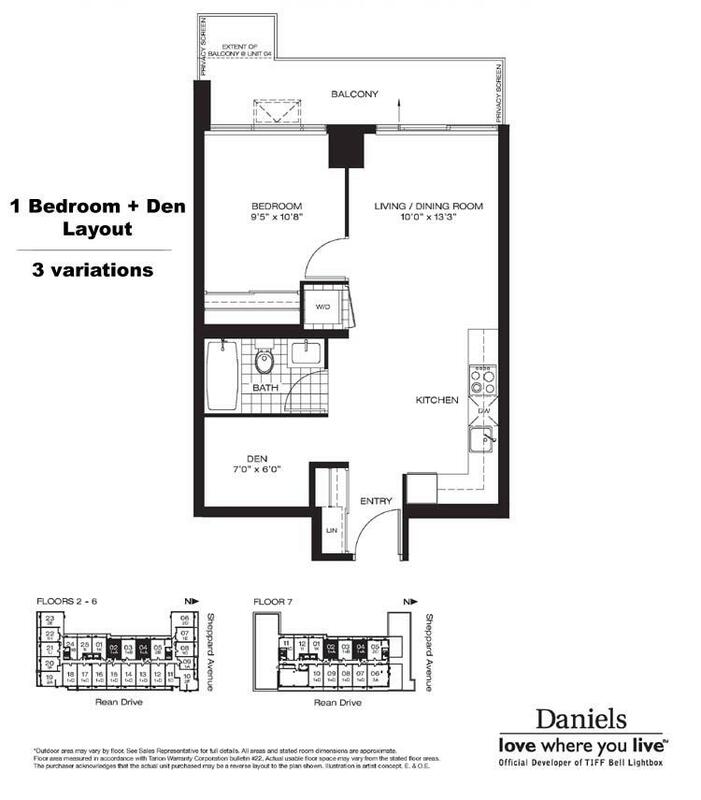 The Daniels Corporation (www.danielshomes.ca) is one of Canada's preeminent builder/developers with a reputation for quality and integrity in all forms of residential construction. Named the Tarion Warranty Corporation's 2012 High Rise Builder of the Year and the recipient of the 2012 Toronto Arts and Business Award presented by the Toronto Arts Foundation, Daniels has built more than 23,000 homes throughout the GTA. Among its many initiatives, Daniels was chosen to partner with Toronto Community Housing to revitalize Regent Park - 69 acres in Toronto's Downtown East. Committed to community, Daniels continually offers innovative programs that help people achieve homeownership, champions neighbourhood initiatives that enhance residents' quality of life, and supports numerous charities and non-profit organizations.